I have been reviewing English translations of patent applications in Japan for about three years, and I have seen many translations from European countries when I worked as a patent examiner in the USPTO. Several problems seem to occur frequently in translated patent applications. I hope that by pointing these out, it will help those of you who work with translations. Some of my suggestions are directed toward the person who writes the original text, some of my advice is directed toward translators, and some of my advice is for both translators and writers. Therefore, I have grouped my suggestions into three groups: 1) Advice for both writers and translators of patent applications; 2) Advice for writers; and 3) Advice for translators. Translators and writers are both guilty of using long sentences. When I see long sentences in a translation, I suspect that the original Japanese text employed long sentences. There is no reason that the English translator cannot use short sentences in the translation. Long sentences are difficult for translators to understand. Long sentences formed by the translator are difficult for the patent examiner and others to understand. For one thing, it is difficult for Japanese-to-English translators to match a subject with each verb in long sentences. Writers and translators should try to shorten all sentences that are more than 2 or 3 lines of text. Writing shorter sentences forces a closer relationship between the subjects and the verbs, which makes the sentence more clear. In general, plain, simple, and brief language is the best language, whether it is in a patent application or anything else. This relates to a point I will make again: the most important audience for a patent in the U.S. is a judge and a jury, who probably have no technical background. The writer and the translator should never choose a big word when a small word with the same meaning is available. Also, the writer and the translator should never choose an unusual word when a common word with the same meaning is available. Often, the words chosen for parts in English translations do not sound natural to native readers. I am not sure if this is caused by the translator or the writer. One frequent problem is the over use of terms such as “member.” The word “member” should only be used when there is no other word available. It is not descriptive and therefore it is not very useful. After all, the purpose of the specification is to specify. If a word does not specify anything, it is just wasting space on the paper. Often, the word “member” is added to another word such as “piston” to make the compound word “piston member.” The word “piston” is fully descriptive and the word “member” adds nothing to it. Therefore, “piston member” should be changed to just “piston”. Another word that is used like this is “portion.” Like “member” this word should be avoided unless there is no descriptive word available. The words “member” and “portion” are useful only when a part has no standard name and the writer must make one up. In that case, a compound descriptive word such as “rotating member” should be used. Figure 3 shows a rotating member, which, in this embodiment, is a pulley 23. This sentence introduces two names for the same part: 1) pulley and 2) rotating member, and it implies that the rotating member might be something other than a pulley. Now, the writer can continue to use the standard word “pulley” throughout the specification, which will make the specification easier to read and easier to understand. Furthermore, there is support for using the word “rotating member” in the claims. It is always best to use standard terminology. This may seem obvious to most of you, but the best place to get the standard English terms is from prior art patents that were written by native speakers. Another good source is a technical dictionary. For the best results, writers should supply their translators with prior art patents written by native speakers when the job is ordered. Large companies that file many patent applications on a given product should develop a parts list that gives each part name in Japanese and in English. This parts list can then be distributed to the translators when jobs are ordered. However, if this list is created from old patent translations, it may contain errors. The English names on the list must be prepared from patents written by native speakers or the list should be checked by a native speaker. Unnecessary repetition often appears in translations. For example, a part may be introduced as “a spring 10 on the rod 14”. Later, it should be referred to as just “the spring 10.” Often, in translations, it will be referred to as “the spring 10 on the rod 14” every time it is referred to. This is an unnecessary repetition and it makes it both difficult and tiresome to read the application. In another case, suppose you introduce a part as “a heat transferring fin 24.” Later, you can simply refer to it as “the fin 24.” If the fin is always called “the heat transferring fin 24”, the writing will be tiresome to read, and the translation costs will be higher if the cost is based on the number of English words. Avoid the use of ETC. The English abbreviation “etc.” means “and so on”. It doesn’t make sense to use this word in a U.S. patent specification because the purpose of a specification is to specify. The word “etc.” fails to specify anything. One cannot argue to the examiner that the word “etc.” discloses subject matter if the examiner questions the disclosure or if the disclosure is questioned in court. Also, you cannot say that the U.S. best mode requirement is met by material disclosed by the word “etc.” However, if Japanese application writers are comfortable using 「等」, which normally translates to “etc.” in their patent applications, it will not cause any harm if it is included in a U.S. application. When there are problems in a translation, the first tendency is to blame the translator. However, in my experience, many of the problems that occur in translations could have been avoided by the original writer. Therefore, I have some suggestions for the persons who write patent applications in their native language. The original writer cannot affect the natural usage in the final translation, since that is in the hands of the translator, but the writer can have a large impact on accuracy and clarity in the translation. The writer can affect accuracy and clarity by writing in a manner that can be understood by most college-educated people. That is, the writer can write in such a way that will almost guarantee that the translator will fully understand it. Most patent application writers throughout the world write as if their audience is their client and other patent practitioners. The attitude in Japan seems to be that ordinary people do not need to understand the specification. However, most translators are trained in language and have little or no technical background. It is often difficult for translators to understand material written for technical readers. Therefore, it takes the translator more time to do the job, and the likelihood of mistakes increases. Writers often add to the translator’s problems by using undefined terms and unclear language. Therefore, by simply changing their writing style to address people who are less highly skilled and less familiar with the terminology, application authors can improve the quality of the translations, even if they know nothing about English. Writing to a general audience has other benefits. In the U.S., judges and juries are normally non-technical people. Therefore, if applications are written for a general audience, it is more likely that the invention will be understood by a judge and jury, if the resulting patent should be involved in litigation in the U.S. Many U.S. patent attorneys will tell you that if the jury (if there is a jury involved) and the judge understand and are impressed with the invention, the owner of the patent has an advantage in litigation. Furthermore, by writing to a general audience the patent agents, patent attorneys, and examiners involved will find it easier to understand the invention. If these people can understand the invention quickly, the likelihood of mistakes is reduced, and the cost of working on the application will be less. Some writers of patent applications will say that many topics are too complicated to be simplified for a general audience, such as genetic engineering. However, nearly any subject matter can be simplified by adding a glossary of terms and by taking other steps listed below. We have all seen this simplified type of writing in magazines for general audiences at the news stand. These magazines often have articles about the latest trends in biotechnology and computers written in fairly simple terms. Since inventors are at the forefront of technology, patent writers sometimes use words that are not yet in the dictionary. This makes it very difficult for a translator to do his or her job. Also, inventors and their colleagues sometimes coin new words for their inventions or the parts of their inventions. Patent application writers will hear coined words from their client and will assume the word is in general use. These words will sometimes appear in the application, which makes the translator’s job very difficult. When words are new or are coined, the writer must provide a definition in the specification. 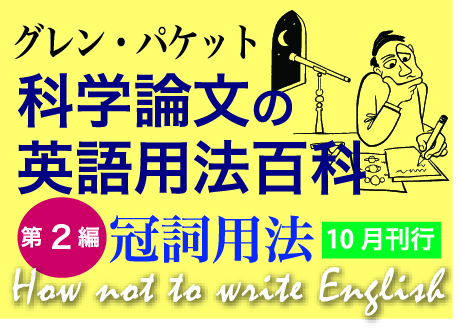 Though it is possible to write Japanese without clearly identifying the subject, it is impossible to do so in English. An English sentence without a clear subject is ungrammatical, and such sentences will result in a rejection from the USPTO if the examiner notices it. Translators who translate from Japanese to English often struggle trying to identify the subject, particularly when the sentences are long. Though experienced patent translators will usually recognize these words, there is usually no reason to use them other than habit. Why not use a common word that is easily recognized? I often see patent specifications that describe things in painstaking detail that are clearly illustrated in the drawings. This not only uses the writer’s time inefficiently, but it increases the time and the cost of translation. In the U.S., the drawings can be relied on to the same extent as the written text, as far as an adequate disclosure is concerned. Therefore, it will reduce the amount of writing if the writer relies on the drawings in his specification. I recommend a detailed description in the text and a detailed illustration of the features that will be claimed, just to be safe. However, details of features that are not at the heart of the invention can be described by relying on the drawings, thus reducing the amount of text. For example, instead of describing the curvature of a part in a lengthy description, the writer can simply say “the arm 25 is curved toward the base 15 as illustrated in Figures 5 and 6.” This is an example of reliance on the drawings. Since drawings do not have to be translated, relying on them reduces costs and reduces the likelihood of errors. Furthermore, the original writer cannot control the translation, but he or she can control the drawings. Therefore, the writer can be more sure that foreign applications will be clear and accurate by producing complete drawings and then relying heavily on them in the description. Often there are common, ordinary comparisons that can be made to help describe features of complicated inventions. For example, U.S. patent 5,287,133 describes a device for filming the interior of long water pipelines. The device is like a miniature submarine, however, it is moved by water currents. It floats freely in moving water and includes lights and a camera. The main feature of this invention is that the device is designed so that it is aligned with the water current. This way, the camera will always point in a certain direction for filming. A detailed description of the forces that act on the device to keep it aligned with the water current would be very complex and lengthy and would take a significant amount of time to translate. However, the device is described simply by saying that it operates like a wind vane. Most people have seen how a wind vane stays aligned with the wind direction. This analogy makes it easier for the translator and everyone else who must work with the application. If the patent is involved in litigation in the U.S., the judge and jury will instantly understand it. When the ignition timing delay amount aknksm is smaller than the reference value C, the processor then executes step 100. In this sentence “aknksm” is a reference character, but it does not contrast with the other words. A native English reader will first wonder if this is some sort of typographical error. While the Japanese version of this application probably looks fine, the English version of the application would be much more professional looking if upper case letters or numbers were used. That way, the reference characters would stand out from the text. Therefore, when choosing reference characters, the writer should consider how the characters will look when used with English or other western languages. A is connected to and driven by B, which may be an engine or an electric motor, for rotating the main shaft C.
1. A is connected to and driven by B for rotating the main shaft C.
2. B may be an engine or an electric motor. This way, each sentence supports only one point. Writing sentences in this way makes them easy to read and it reduces the possibility of accidentally producing a sentence that makes no sense to a native English speaker. The engine will not run efficiently unless the fuel/air ratio controller is employed. Employing the air/fuel controller will improve the efficiency of the engine. Translations will be easier to read and more effective when written in positive language. Also, negative language is generally prohibited in U.S. claims. Therefore, by using positive language in the specification, the translator will provide solid support for positive claim language. Hinge 14 supports door 16 so that door 16 can be opened or closed. The hinge 14 supports the door 14 so that the door 14 can be opened or closed. Patent applications should be written so that they sound correct even with the reference numerals removed. In other words, the reference numbers should be treated as being parenthetical, even though no parentheses are used. Writing this way will make the application more professional. This causes unnecessary operation of the motor and increases the amount of power consumed by the motor. This causes unnecessary motor operation and increases power consumption. Since the “delay period” was defined once, it is not necessary to define it again. Therefore, the text that merely repeated what was already said can be deleted. Wordiness not only makes the application harder and more tiresome to read, but it increases the translation costs. One of the most common problems in English translations is the tendency to make the verb passive instead of active. Active verbs should be used whenever possible to improve the quality of the resulting English text. The following are examples of passive sentences and active sentences, which say the same thing. This leads to an increase in the flow rate. This causes the flow rate to be increased. This increases the flow rate. This results in the water temperature being maintained at a constant value. This maintains a constant water temperature. The sleeve 23 is urged toward the plate 25 by the spring 28. The spring urges the sleeve 23 toward the plate 25. The active sentences are easier to read and more concise. Active style writing usually requires fewer words. Translators have a financial disincentive to produce active sentences, since they are paid per word. However, if translators want to raise their skills to a higher level, they must write with active sentences. Although many native writers use passive sentences, consistent use of passive sentences is one sign that an application is a translation and not one written by a native. Translators rarely take advantage of adjectives to shorten phrases. As I have said, shorter sentences are easier to read and look more like text written by a native. For example, the following phrases are improved by changing a noun to an adjective. The rotation of the pump produces a stream of fluid. The pump rotation creates a fluid stream. Noise from the fan makes the operator uncomfortable. Fan noise makes the operator uncomfortable. The controller controls the components 16, 22 and 25. The controller controls the actuator 16, the igniter 22 and the valve 25. Improper use of the two words “that” and “which” is of the most common problems in English translations. These two words send important signals to the reader about the information that follows. If these words are used properly, the translator will dramatically reduce the likelihood of error or confusion. 1) The rod 15 that has the longitudinal groove 155 is fitted to the sleeve 25. 2) The rod 15, which has a longitudinal groove 155, is fitted to the sleeve 25. In this sentence, the word “which” signals that the information about the groove is supplemental and is not crucial to the sentence. In fact, the phrase “which has a longitudinal groove 155” can be deleted and the sentence still makes sense. In this sentence 2), the commas before “which” and after “155” are also important signals to let the reader know that the information is supplemental. These commas are required by the rules of grammar and must be used. In many English translations, the reader cannot tell if information is crucial or supplemental because the translator does not distinguish between “that” and “which” and often has not used commas to surround supplemental information. If the word “that” is used properly to signal important information, it can sometimes be omitted. For example, sentence 1) can be changed to sentence 3) or 4). 3) The rod 15 having the longitudinal groove 155 is fitted to the sleeve 25. 4) The rod 15 with the longitudinal groove 155 is fitted to the sleeve 25. The proper use of “that” and “which” and commas will raise a translator’s writing to a level higher than many native English writers. The most important feature of any translation is accuracy. It is better to have an accurate translation written in poor English style than an inaccurate translation written in perfect English. However, once the accuracy requirement is satisfied, there is a great deal more that can be done to polish the translation and bring it up to high professional standards. These suggestions will solve many translation problems and, according to my experience, will improve the quality of most patent application translations.